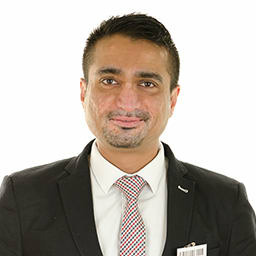 Dr Rajpara has training in general medicine and dermatosurgery (including Mohs surgery and Lasers) in England and in dermatology in Scotland. Dr Rajpara has training in general medicine and dermatosurgery (including Mohs surgery and Lasers) in England and in dermatology in Scotland. He offers consultation on all dermatological problems, skin cancers, mole checks, hyperhidrosis and cosmetic dermatology. Actively involved in clinical research and teaching, Dr Rajpara has given over 25 national and international presentations and has published a number of peer reviewed articles. He also holds an honorary consultant dermatologist post at Ninewells Hospital to perform Mohs surgery for skin cancers. 2008 - Post CCT Specialist Registrar, Dermatology. City Hospital, Birmingham. 2006-2008 - Specialist Registrar, Dermatology. University Hospital Coventry. 2005-2006 - Specialist Registrar, Dermatology. City Hospital, Birmingham. 2004-2005 - Specialist Registrar, Dermatology. Selly Oak Hospital & Birmingham Children?s Hospital.